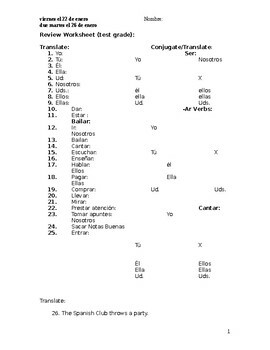 this reviews over chapters one through four in the buen viaje level one text book...It covers ser, ar verbs, and the irregular ar verbs. Also it covers the , a, and an. 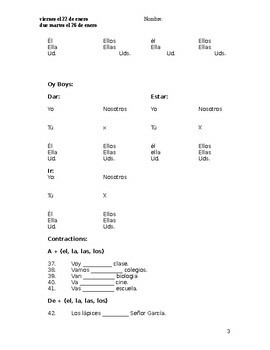 It also covers the contractions al, a la, a los, a las, del, de la , de las, and de los. It reviews the vocabulary too in translation sentences.